Come Escape to Madrona Meadows Bed & Barn on Vashon Island, where you can truly get away from it all. A private guest house with a lovely French country barn awaits you. This unique retreat will soothe you and your pets as you enjoy our beautiful 5.6 acres of lush pastures and Madrona woodlands. Nowhere else can you experience such a relaxing time; renewing and restoring yourself amid nature's beauty. It’s just a 20 minute ferry ride from Seattle or Tacoma! Take a week off and enjoy the restful beauty of a very special place. We are very pet friendly! 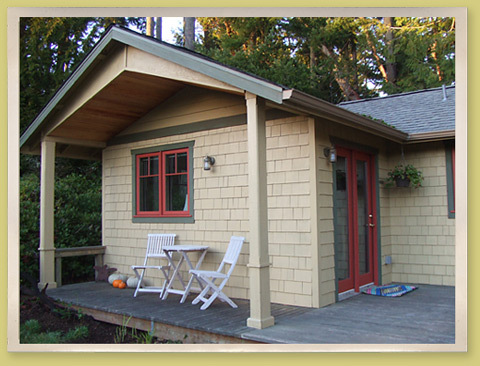 We’re located on Vashon Island at 21828 Monument Rd SW.